SHARK ("Svenskt HavsARKiv" / "Swedish Ocean Archive") contains marine environmental monitoring data from the seas surrounding Sweden. SHARKweb is the main web application where it is possible to search and download data from SHARK. SHARKdata is another way to access the same sets of data, but the target audience is other systems which want to harvest data and use it, or to publish the data in other systems, portals, etc. SHARKdata is based on modules and new modules will be developed over time. 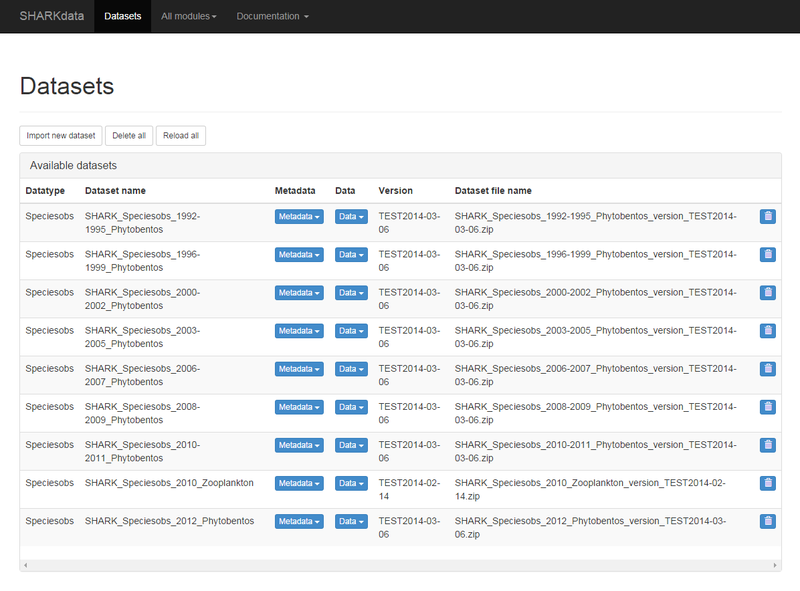 Species observations is a module where observations are extracted from other datasets. Special response formats are available such as KML and simple map. The Resources module contains administrative data. It can contain files for header translations, screening of data, taxonomic information, etc. SHARKdata is developed by the Oceanographic Unit of the Swedish Meteorological and Hydrological Institute (SMHI). The software is a product of the Swedish LifeWatch project funded by the Swedish Research Council. SHARKdata is a web service with a REST API to be used for accessing marine environmental data from the seas surrounding Sweden. SHARKdata also has a website for documentation and administration where it is possible to access some parts of the data directly. SHARKdata is written in Python 2.7 and based on the Django web framework. All code developed in the project is open source and published under the MIT license. The code repository can be found here.